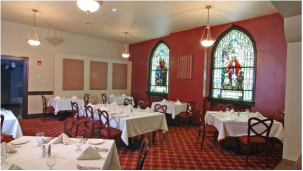 If you're looking to impress, there is no better place in Pittsburgh to have your banquet event than Cefalo's. Located just a few seconds from the Carnegie Exit of I-376 West (The Parkway), Cefalo’s is just minutes from Downtown, RIDC West and Foster Plaza office parks and only 15 minutes from the Greater Pittsburgh International Airport. Cefalo's Banquet and Event Staff will ensure your gathering goes perfectly smooth and worry free. Serving parties up to 400 people. "Expertise... from the beautifully presented and scrumptious food to the first class atmosphere..."
​Cefalo’s offers full catering, banquet, sit-down and buffet lunch and dinners, two fully stocked bars and a professional wait staff that will tend to your every need. 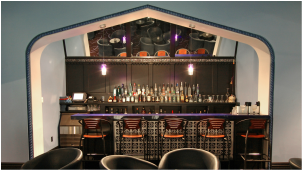 Cefalo’s also offers a 18' HDTV screen in the main club area that can be used for your multi-media presentations and a state of the art sound system. We reserve the right to refuse service to any individual that appears to be intoxicated. Proof of age will be requested from those deemed to be of questionable age.